As Tina Powell of Beacon Wealth launches SheCapital, an automated service for women, experts discuss how, and whether, to use robo-advice to reach more clients. SheCapital is a new online advice platform catering to novice female investors. Earlier this week, Tina Powell of the RIA Beacon Wealth Management moved to go after novice female investors with SheCapital, a robo-advisor service launched as part of a separate RIA of the same name. The client focus of the new robo service is large: For instance, there are about 127 million women of working age in the U.S., and 57% — or 72.4 million — are employed. But even with such a wide target audience, does it make sense for RIAs to roll out a robo-advisor service? Powell, naturally, is clear on the benefits. “I launched today and … see the leads coming in. I can tell you they are millennials … and the average age is 28,” said Powell in an interview with ThinkAdvisor. In general, Beacon – a Hackensack, New Jersey-based RIA firm which focuses on medical professionals with a high net worth – could potentially tap into the SheCapital client base. If SheCapital has female clients with specific tax and financial planning needs as they grow their wealth, Powell can recommend they work with Beacon – an arrangement that is outlined in SheCapital’s filings with the Securities and Exchange Commission, she explains. 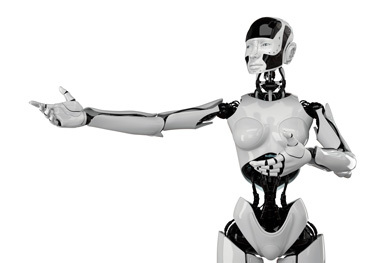 Is the robo-offering a component of existing practice? Or is it a new business – a la SheCapital? “You want to avoid cannibalization of the core business,” Pirker explained. “Firms that focus on the mass affluent and are concerned the startup robos will eat their lunch may want to take a defensive strategy and then can cater to their clients’ needs,” he added. When going after a particular demographic group, he says, it’s critical to look at the communications side of the robo-advisors: How is the RIA digitally engaging with clients? What special tools and language are being used with a particular target demographic group? Getting into the nitty-gritty of covering technology costs means that RIAs have to think strategically, according to Tim Welsh, president of Nexus Strategy. This is especially true if the robo service is not part of an RIA that services clients offline in the traditional face-to-face advisory model. Renting or outsourcing the platform by turning to providers like Jemstep is a smart way to go, but it still has its costs – about 15 to 20 basis points for an account, for instance. More issues to tackle include: What will the advisor or RIA charge for clients of its robo offerings? And what value will be delivered for this charge? “Will you compete with those with a nominal basis-point charge, or are you going to charge more if you are doing more?” asked Dan Skiles, head of the Shareholders Services Group, in an interview. You need to be sure you can charge more for your value, such as providing clients with regular webinars or phone-based conversations with advisors, Skiles explains. It is also advisable to be upfront on the details of moving clients from one model or platform to another as they accumulate wealth.